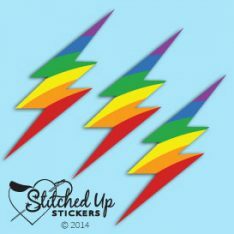 This is a Stitched Up Stickers exclusive! 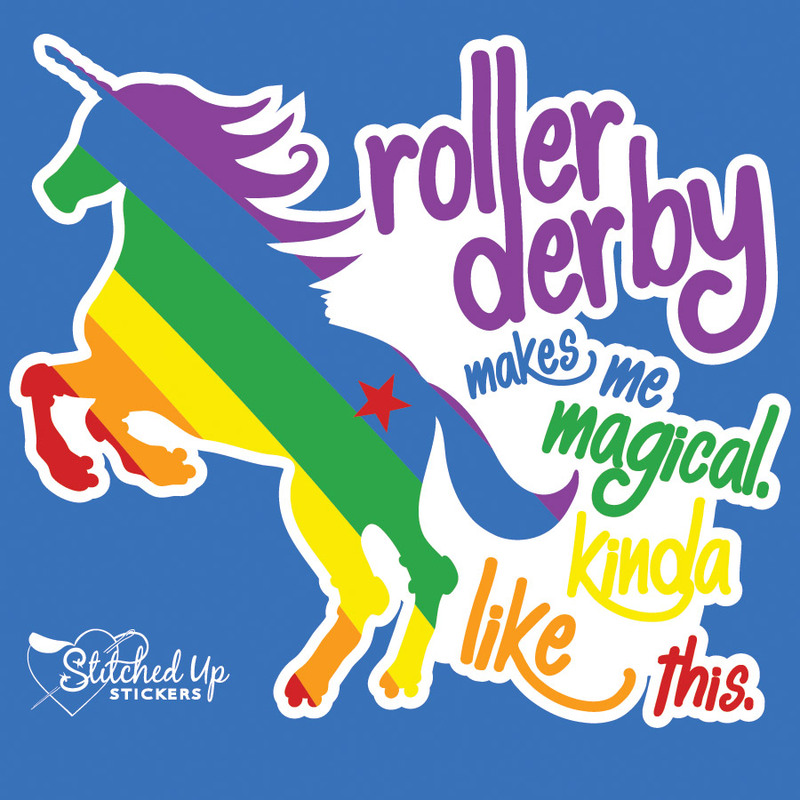 Lace up your skates and throw on your smile, because this majestic unicorn will have you out-shining the pack in no time. 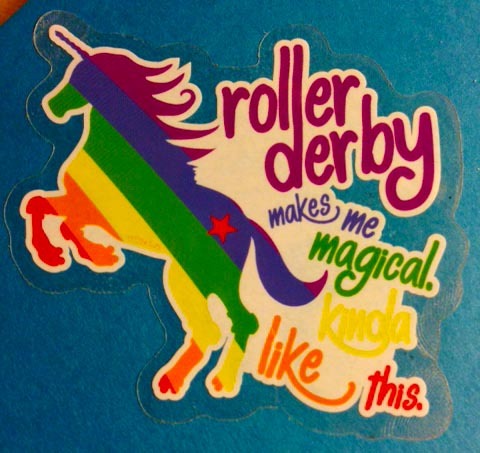 This sticker is die cut and full color. It’s printed on clear vinyl backing to showcase the colorful artwork. 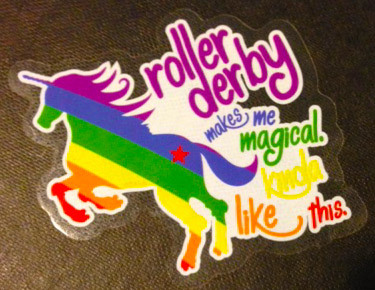 Sticker text says “Roller derby makes me magical. 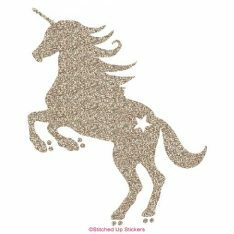 Kinda like this.” Approximate size 3″ wide x 2.7″ tall.